Create a professional website with a bright, modern appearance and an intuitive interface using Fructesh WordPress theme. Present your delivery services in the most engaging form. 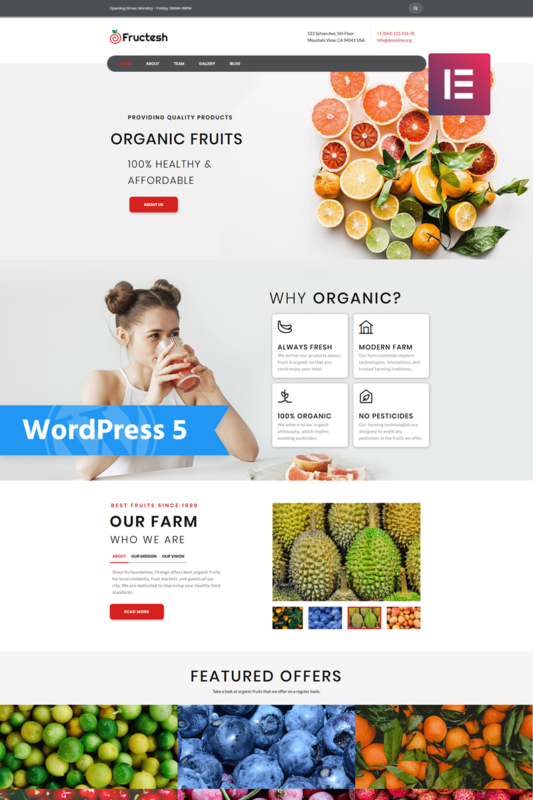 Visitors will like spending their time on your website thanks to juicy and stylish design this theme. 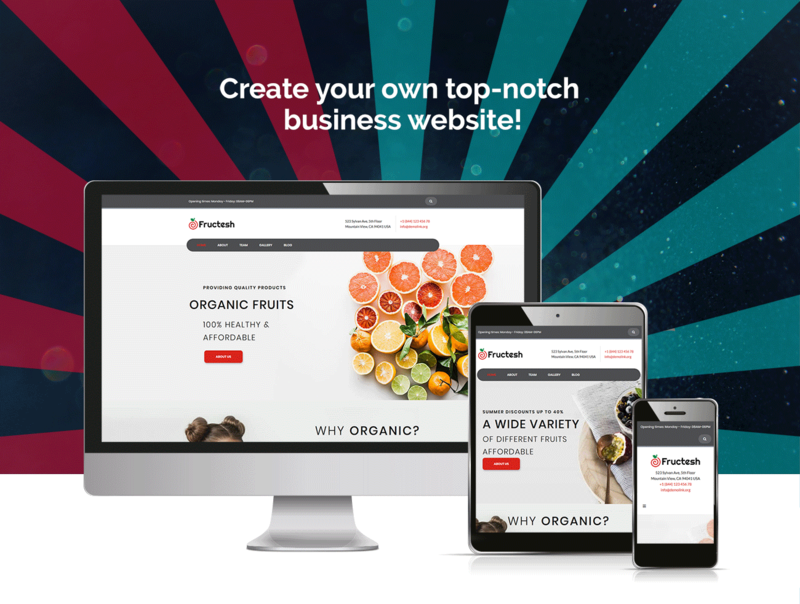 You will customize your website according to your needs and vision thanks to a strong functionality of Fructesh Organic Fruits Delivery theme. 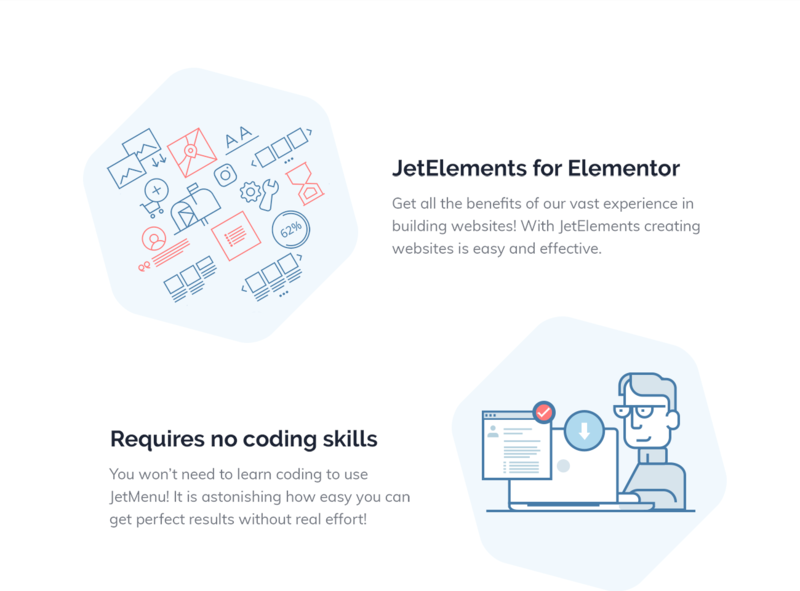 It includes powerful Jet plugins, which will be helpful for creating content with Elementor page builder. 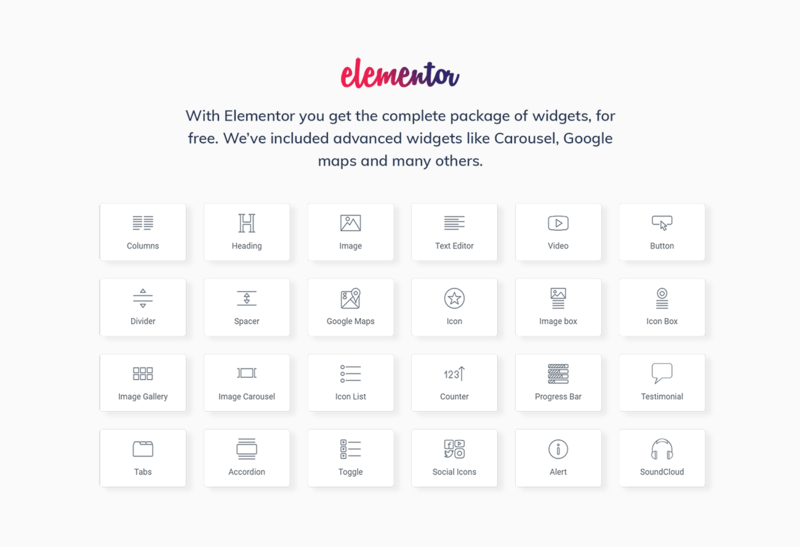 JetElements plugin will provide you with helpful, stunning widgets for any purposes. JetMenu plugin will allow creating an extraordinary mega menu with drop-down sections and enriching them with attractive content. With JetThemeCore plugin you will insert pre-made blocks on different topics on the pages in a few clicks without any coding skills. JetBlog plugin will help you add dynamic elements to your website. Using JetTabs plugin you will arrange your content compactly into tabs and accordion blocks. You will inform about your farm, missions, values, team members and much more using a fully responsive Fructesh theme. Accustom people to high-quality, organic food using an appealing Organic Fruits Delivery theme. This is an awesome template. I has the easy to use Elementor plugin which makes it awesome to edit the pages. It is really a drag and drop template and that is awesome. The template is easy to install when you follow the included instructions. A sidenote is that the easy install is only possible when your hosting has the required need such as PHP version, load speed and that kind of technical requirements. The support from used to be by live chat, but unfortunately in this case it was by tickets. Never the less, in my case the response time was quick and the solution was good. All in all I definitely can recommend to buy this template at template monster .